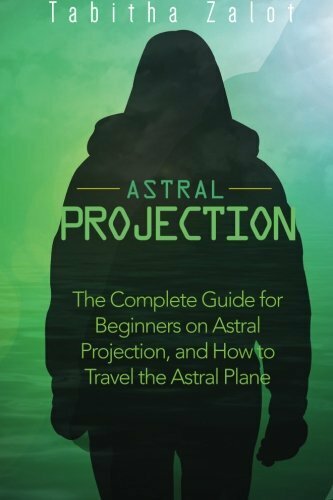 This time I'm reviewing Astral Projection: The Complete Guide for Beginners on Astral Projection, and How to Travel the Astral Plane by Tabitha Zalot. This book reminded me a lot of Michele Gilbert's book. It's not quite that bad, but almost. The book is twice as long, at 43 pages, but still way too short to be useful. Like Gilbert, Tabitha Zalot is apparently trying to make money by mass producing short books that gloss over most things and say very little, after minimal research. It also says "Thanks again for downloading this book..." which is a tip-off that it was not meant for prime-time publication. The writing is very cumbersome to read. It's not so much that her grammar is bad (it really is). The real problem is that she always uses Passive Voice rather than active voice (or should I say "passive voice was always used" ;) ). Nnnngggghh! The whole book is like that. Okay, I've ranted enough. Well, no. Most people don't experiment with OBE. It's much more accurate to say that according to a variety of surveys, about 20 percent (yes, 20, not 10) of the general population have experienced one OBE in their lifetime (almost always spontaneously, and not through experimentation). While many people do report 360-degree vision in the astral, it's not always the case. In my first book, I documented several types of eyesight, ranging from "astral sight" which is similar to in-the-body vision to "astral mind sensing" which is more like a 360 degree view. (Follow this link if you want to read that chapter). While it's true that you want to make your OBE attempts in a place that's safe, quiet and comfortable, your bedroom is often a poor choice. The problem is: we're all programmed from birth to fall asleep easily in our own bedroom, so it's natural to let go of consciousness quickly there. Our subconscious is programmed to do that. With OBEs, you need to wander the edge of consciousness, not fall asleep, so I usually recommend any place but your bedroom. Sometimes you have no choice, in which case, by all means: use your bedroom. Lord knows I've had most of my OBEs from my own bedroom, but there was no other choice. But in general, it's better to make your OBE attempts in a special place set up for that purpose. William Buhlman recommended a special couch or room, or even from a hotel room bed. Robert Bruce recommended practicing sitting up. That's wrong. Moonwort is a completely different herb, and not genus Artemisia. She's obviously talking about Mugwort. Mugwort is the correct herb, not moonwort. Her description of these ten techniques redeems the book somewhat, but not to the point where I would recommend it. It doesn't have any OBE narratives to give the reader a feeling for what it's like. It also doesn't give any hints that the author actually experienced an OBE herself. I can usually tell when an author is speaking from firsthand experience, and this book did not give me that impression. I'll give it 1 and 1/2 stars out of 5. It's just not worth wading through the misinformation and impossible grammar. Save your money: there are much better OBE books out there. Sorry it's been so long since I posted last. I've been taking some time off to enjoy the summer, visit with family and friends, and work on some of my projects, like my stained glass art. I've only squeezed in little bits of time here and there for reading. 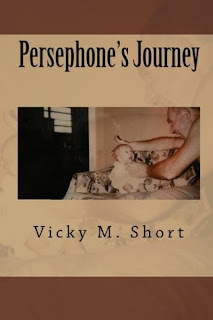 This time I'm reviewing Persephone's Journey by Vicky M. Short. The author was kind enough to send me a copy, and I feel really bad that I haven't finished it until now. This is another long book review (sorry! ), which is usually a good sign that I like a book. And yes, I loved this book. This book took me back to a special place: It reminded me a lot of the first book I ever read about psychic experiences (aside from the OBE books) way back in the early 1980s: The Clairvoyant by Hans Holzer, the story of a young psychic girl who struggled because she was different from "normal" people. Many of the more interesting OBEs contained verification and often, deja vu. In an OBE, she would witness an (ordinary) upcoming event. Later, she would experience that same event in real life, as deja vu. They're not all OBEs, however. In fact, most of the narratives aren't OBEs at all. I'd say only about a third of them are actual OBEs. The other two thirds are other psychic and/or paranormal experiences from the author's life. They range from simple stories like finding lost items for her siblings, to "ghostly" tales from when she lived in a home with paranormal activity. The book is very comfortable. It's like you're sitting around a campfire, listening to her tell personal stories of her life. Some make you want to laugh and some make you want to cry. Often you want to give her a big hug. By the end of the book you feel like she's a good friend and you want to call her Vicky. I like to think of it as a continuum of consciousness. More on this later. "...If you shift your attention along the continuum toward the other end, you will be perceiving within the realm of reality..."
You won't find any OBE tips or techniques in the book. That makes for an entertaining journey, but it leaves people like me--who really have to work hard for it--wanting to know more about how to do it ourselves. The book is 271 pages, with good margins and decent size: it's a good amount of information, so you won't feel short-changed. The writing is mature, professional and polished. It's not perfect, but way better than most. She's a great writer. Not just good, but great. She's got what it takes and I hope she writes more books. I loved this book and give it 4 out of 5 stars. Big thumbs up.